Feb. 21, 2019 saw the kickoff of the Dominican Charism Initiative. 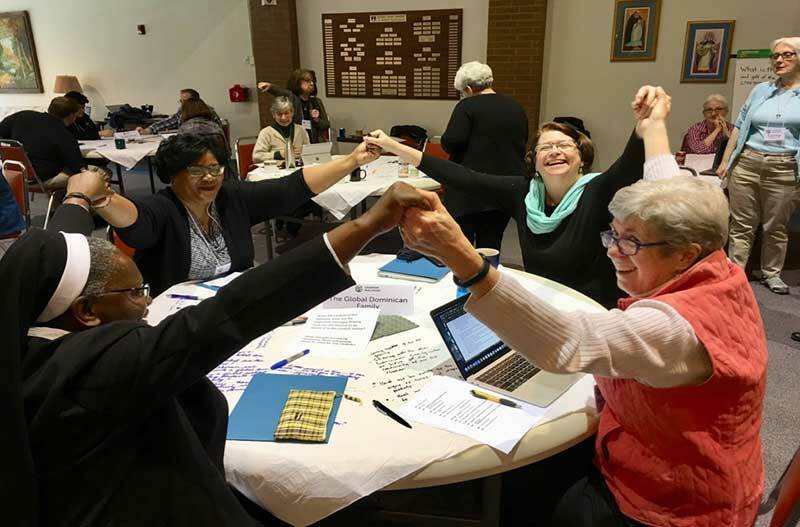 Twenty-seven Dominican sisters and lay partners engaged in energetic dialogue and creative planning in response to these questions during the three day Charism Dialogue. The participants included educators, theologians, formators, charism animators, associate directors, the Dominican Association of Secondary Schools (DASS), the Dominican Youth Movement and 3 Dominican Missionary Sisters of the Sacred Heart from Zimbabwe, Zambia and Kenya along with their Zambian Congregational Prioress from England. Sr. Catherine Bertrand, SSND, facilitated the event. The Dialogue focused on the relevancy of the Dominican charism and how best to capture and communicate critical charism messages in the context of our present reality. The energy, commitment, vision and diverse backgrounds and cultures of the participants provided a rich experience of our lived charism as well as great direction for the work of the Charism Initiative. 1) Developing user-friendly, contemporary, interactive online learning modules centered on themes of the Dominican charism. Each module will engage the participants in the OP charism through focused input, prayer, scripture, videos, art, and music, both individually and/or in group settings. 2) Gathering, organizing, and expanding quality, easily-accessible Charism resources to support charism education/planning in the Dominican family. 3) Engaging in two specific areas of justice outreach: U.S.-led work on the Dominican call to seek truth, specifically through understanding and engagement in disputatio, and African-led study of Laudato Si to further education in and promotion of sound ecological practices, particularly related to small farms and gardens. In the coming months, module teams will create the content for the learning modules. Work on reviewing the content and organizing resources will occur simultaneously. The goal is the creation of four modules in year one and three in year two. The US and African Planning Team members directing this work are: Mark Butler, Rita Cutarelli, Gloria Marie Jones OP, Vimbai Mavuka OP, Angela Mwaba OP, Jenn Schaaf OP, Agnes Chipo Tererai OP, Andrea Wirgau. Diana Marin is serving as the Project Manager. Sister Kamfwa Mutale, Congregational Prioress of the Dominican Missionary Sisters of the Sacred Heart, and the DSC Executive Committee are overseeing the Initiative. The Initiative is under the auspices of the Dominican Sisters Conference and strongly endorsed by Dominican Sisters International. Mwila OP, Catherine Wanja OP, Catherine Chirozvani OP, and Vimbai Boromo OP. Dr. Catherine Sexton oversaw the development of the planning process and analysis of the input. We give thanks to the International Coordinating Committee which oversaw the development and implementation of the Futuring Planning work: Sisters Kamfwa Mutale, Angela Mwaba, Agnes Chipo Tererai, Chama Mwila, Gene Poore, Pat Twohill, Marie Therese Clement and Gloria Marie Jones. The team met in Sussex, England May 28 – June 1st 2018 to determine the final Implementation Plan which had been shaped by the visions and recommendations that emerged through the African and the US visioning meetings. 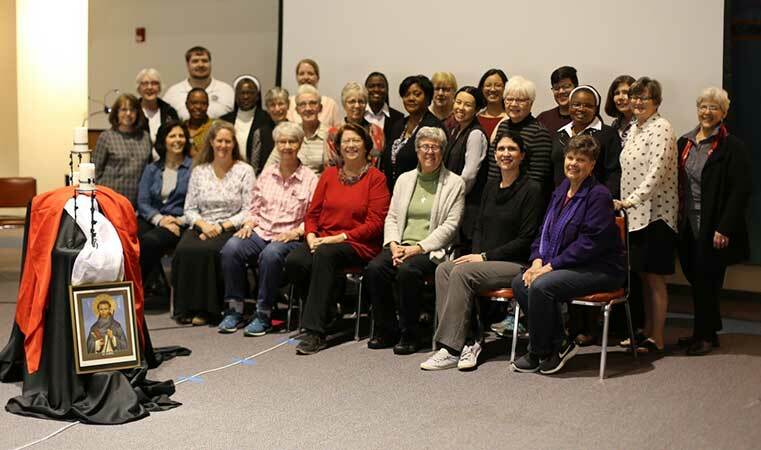 Participants in Charism Dialogue, February 21-23, 2019, Houston Dominican Motherhouse: Andrew Abberton, Cathy Arnold OP, Mark Butler, Rita Cutarelli, Gina Fleming OP, Janet Hockman MM, Gloria Marie Jones OP, Mary Lach, Colleen Mary Mallon OP, Vimbai Mavuka OP, Diana Marin, Carol Mayes OP, Kathleen McManus OP, Kamfwa Mutale OP, Angela Mwaba OP, Mary Ann Nelson OP, Mary Ellen O’Grady OP, Colette Parker, Mary Therese Perez OP, Donna Pollard OP, Megan Rupp, Jenn Schaaf OP, Connie Schoen OP, Mary Soher OP, Agnes Chipo Tererai OP, MaDonna Thelen, Andrea Wirgau.